The month of April brings one of my favorite times of the year. We have the Easter Bunny showering us with treats on Easter and the Earth dancing on its axis for Earth Day. Pick any type of towering tree for Arbor Day and then there are a gazillion funny pranks and jokes to be told for April Fool’s Day. Add a week to highlight the wonderful generosity of volunteers giving in organizations around the world and you have one fabulous month of the year! That’s right! April dedicates a week each year, National Volunteer Appreciation Week, to recognizing and celebrating individuals that give of themselves to help others. Kim Gilbert is a 4-H volunteer that values both the impacts she makes and receives from being involved in 4-H.
Chloe, learned to show her rabbit before a judge in a local 4-H fair. 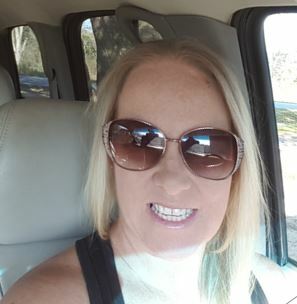 Kim is always full of enthusiasm, encouragement, and new ideas that she shares with the youth and their rabbits. Armed with a soft rabbit in each arm and usually sweets for each club member too, Kim hops off to get her club meeting started. 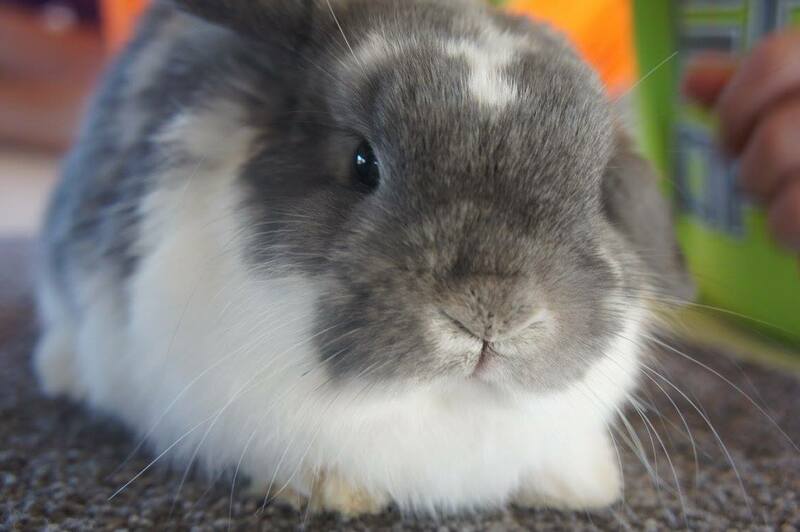 With a background in raising, breeding, and judging rabbits, Kim is knowledgeable in a variety of rabbit breeds including Holland Lops, English Lops, Polish, Lionheads, Angoras, and Giant Angoras. Not raised in 4-H as a child herself, she is thankful that she is able to provide 4-H opportunities to her own daughters and also give back by volunteering through leading the 4-H Rabbiteer Club. 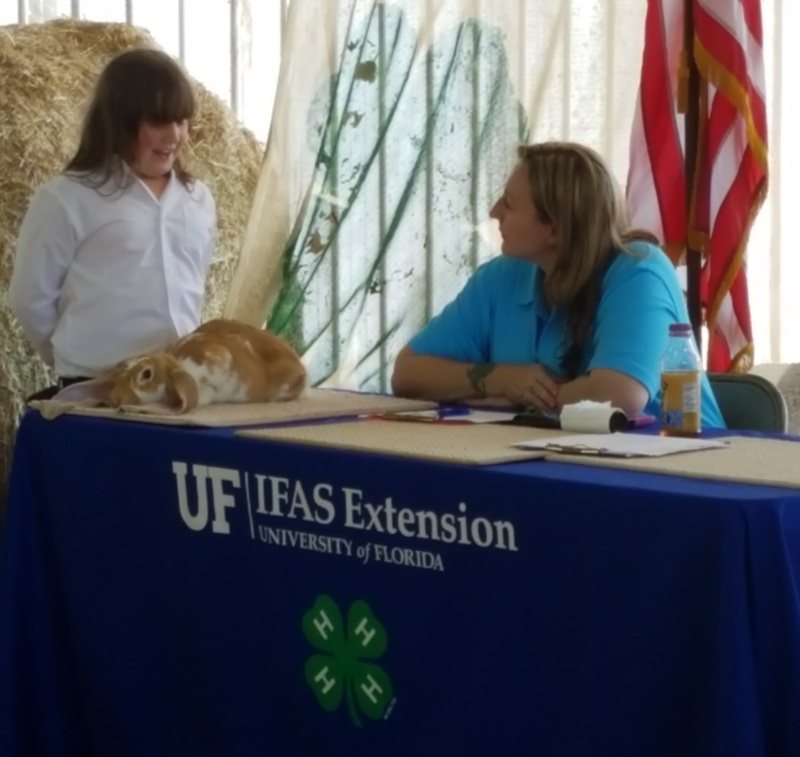 Since Kim’s involvement with the Rabbiteers, Holmes County 4-H youth have learned how to participate in showmanship in local rabbit shows and fairs. When not leading club meetings, Kim will often times volunteer to work on exhibits and events to help staff and other clubs. Kim is a true advocate of 4-H, firmly believing that not only does she positively impact youth as a 4-H volunteer but that she is being impacted by the organization as well. According to Kim, “4-H has totally impacted my life in a way that I would not have seen two years ago. It has changed the way I look at things, how I handle things and has also taught me more things about my own self. 4-H has also brought my own family closer, learning to share more with each other.” Ah, there’s that generosity component we 4-Hers love to spread so much! Hop on over to http://florida4h.org/volunteers_/ to join our 4-H family! With truly caring volunteers in our 4-H family, it’s no wonder that 4-H is one of the nation’s largest youth development organizations in the world. If you are not a 4-H volunteer yet, what is stopping you? 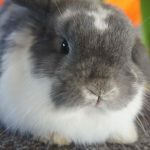 Hop on over to our website at http://florida4h.org/volunteers_/ to join our 4-H family as a volunteer! We have something for everyone! 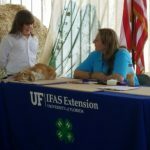 Nicole Crawson has worked as the Holmes County 4-H Extension Agent with University of Florida/IFAS Extension for over seven years. She has her Bachelor's Degree in Mass Communication and her Master’s Degree in Public and Corporate Communication.